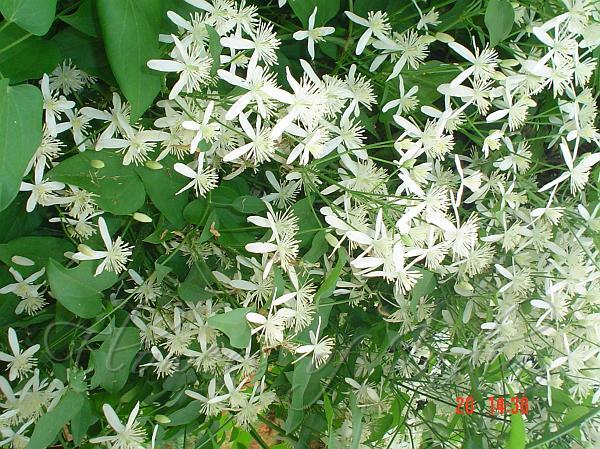 Erect clematis is a very romantic plant that looks good in any garden. Clematis is a member of the buttercup family. The word is from the Greek and means "vine." 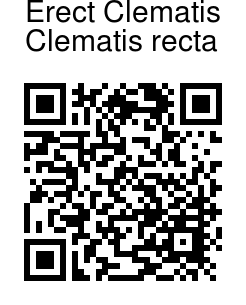 This genus includes approximately 250 species which vary greatly in flower form, color, bloom season, foliage effect and plant height Growing like a shrub 3-6 ft tall and wide, erect clematis produces clouds of star like flowers in June and July. An explosion of white scented blossoms, this very fragrant clematis emits a strong vanilla scent. Small white flowers, with four petals, are not very showy, but still beautiful. Beautiful divided leaves too. The plant is somewhat floppy, so grow in a cage or a shrub.